One of my husband's all-time favorite things to eat is Chicken Piccata. And, while he has tried the dish at many of our local restaurants, he was eager to try his hand at it in our own kitchen. This recipe was easy to prepare and delicious. And yes, my husband prepared it. I know, shoot me! I have a husband who loves to cook. I however, am known as his sous chef and clean up staff (he hates that part). So, it really is a win win situation. Serve with mashed potatoes, orzo or angel hair pasta (we love it with the pasta). 1. Place each chicken breast half between 2 sheets of heavy-duty plastic wrap; pound to 1/2-inch thickness using a meat mallet or small heavy skillet. Place 1 teaspoon flour in a small bowl, and place remaining flour in a shallow dish. Sprinkle both sides of chicken evenly with salt and pepper. Dredge chicken in flour in shallow dish, and shake off excess. 2. Melt 1 tablespoon butter in a large skillet over medium-high heat. Add 1 tablespoon oil to pan; swirl to coat. Add chicken to pan; saute` 4 minutes on each side or until done. Remove chicken from pan; keep warm. 3. Heat remaining 1 tablespoon oil in pan; swirl to coat. Add shallots to pan; saute` 3 minutes, stirring frequently. Add garlic; saute` 1 minute, stirring constantly. Add wine; bring to a boil, scraping pan to loosen browned bits. Cook until liquid almost evaporates, stirring occasionally. Add 1/4 cup broth to reserved 1 teaspoon flour; stir until smooth. Add remaining 1/2 cup broth to pan; bring to a boil. Cook until reduced by half (about 5 minutes). Stir in flour mixture, and cook for 1 minute or until slightly thick, stirring frequently. Remove from heat; stir in remaining 1 1/2 tablespoons butter, juice, and capers. Serve with chicken. Sprinkle with parsley. It is a proud day when you watch your child take a former passion of theirs, and turn it into a reality for the next generation. 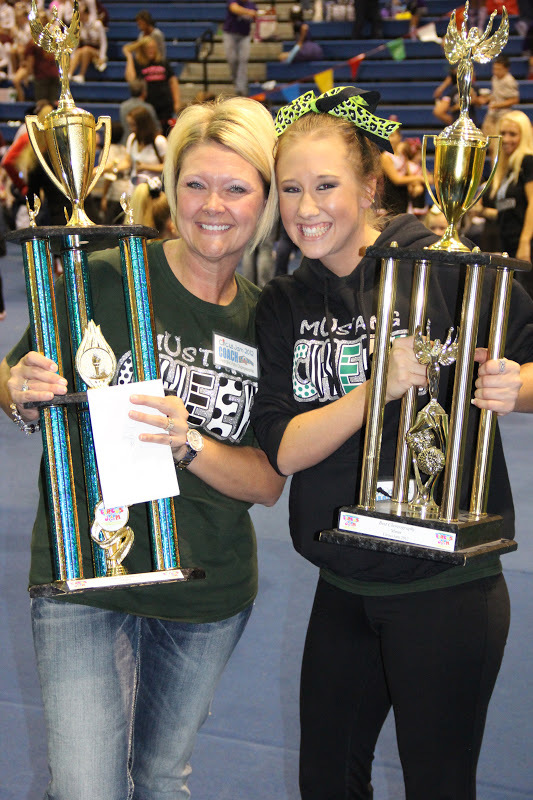 When our oldest daughter was in middle and high school, she cheered on both a spirit squad and a competition squad. 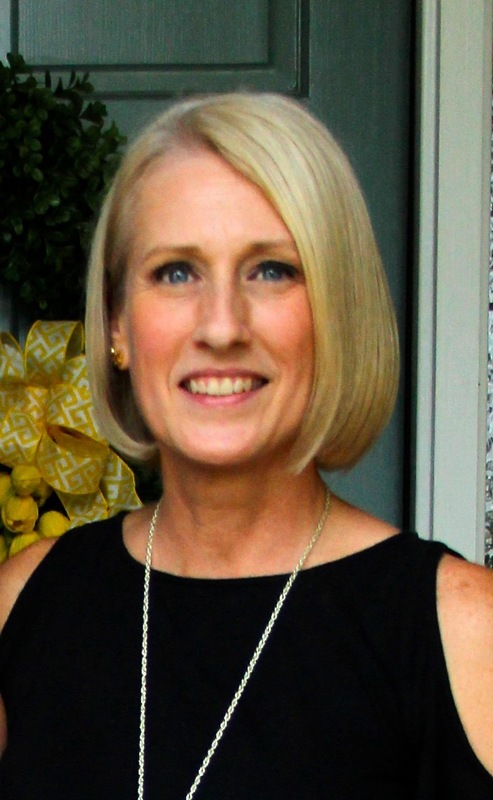 She loved being on the sidelines, cheering at football and basketball games (it didn't hurt that her high school boy's team won three consecutive state titles), and loved performing at competitions. She was truly passionate about cheerleading. As her parents, we knew just like when she was little, there were always younger impressionable girls in the stands watching her every move. She was their idol, their hero, they wanted to be just like her someday. I found this poem years ago and shared it with her. It stuck. She realized the magnitude of her actions and the affect it would have on those young impressionable eyes. of the day she'll be like you. This past weekend we had the pleasure of watching our oldest daughter coach her Minor Competition Squad in their final competition of the season. They took 1st place 3 times, grand champion twice and won the choreography award this time. The love those girls had for her and the head coach was evident in their smiles and hugs a million! We are so very proud of her for not only setting a wonderful example to those who watched her cheer through middle and high school, but for those she had the pleasure of coaching this year. We always told our girls, at some point you need to pay it forward. Both have. Both have used their passion for volleyball and cheerleading and have been wonderful role models for young girls. We couldn't be more proud to be their parents. We prepared this dish last week and it was delicious. The hazelnut browned butter is the perfect compliment to the scallops and the arugula salad. The recipe is from Everyday Food Light. 1. In a large skillet, cook butter over medium heat, stirring frequently, until golden brown and most of the foam has subsided, about 4 minutes. Immediately transfer to a small bowl Stir in hazelnuts and vinegar; season with salt and pepper. Cover hazelnut butter to keep warm. 2. Wipe skillet with a paper towel. Pat dry scallops and season generously with salt and pepper. Heat skillet over medium-high. In two batches, cook scallops until browned and opaque in center, turning once with a thin metal spatula, about 2 minutes. 3. Divide arugula among plates; top with scallops. Spoon hazelnut butter over scallops and serve immediately. Removing Hazelnut Skins: Preheat oven to 275* F. Place raw (shelled) hazelnuts in a single layer on a rimmed baking sheet; bake until skins crack, 25 to 30 minutes. Transfer to a clean kitchen towel and roll up. Let steam for 5 minutes. Rub the nuts vigorously in the towel until most of the skins have come off. ***we were able to purchase blanched hazelnuts at Whole Foods in the bulk section, so we could eliminate this step. I am hoping to make What's for Dinner Wednesday a regular weekly feature, as we are always trying new recipes these days and I love to share the ones we love. If someone had told me this time last year that I would have made 5 trips to the great state of Texas by year's end, I would have laughed. But, we have made 5 trips since last February! Waco, Texas has become our 2nd home. This past weekend we attended Homecoming at Baylor University where our youngest daughter is a freshmen. The only thing missing was her big sister (she had to work, and the cheer squad she coaches had a competition as well-they won 1st place for the 2nd time!!). 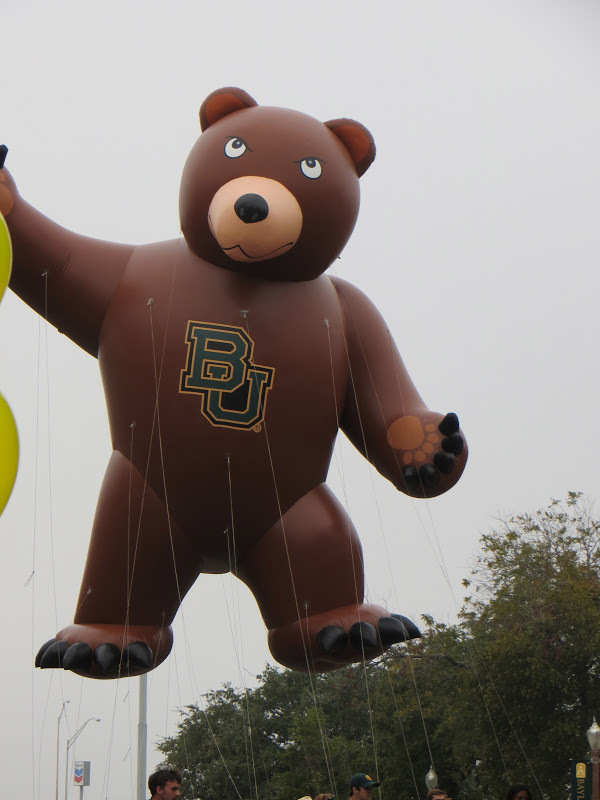 The homecoming tradition at Baylor is the oldest in the country. And, when they say things are bigger in Texas...I can tell you after witnessing the events first hand...it was BIG!! Friday night started with the traditional pep rally and bon fire. I know some bloggers would be disappointed to see that many pallets go up in flames. Have you seen all the ideas floating around Pinterest using them for home decor projects? CRAZY!! Torch bearers. Four of them are representatives of their respective class, and are honored because they represent what it truly means to be a Baylor student. Just getting started. And, that is only about a 10th of the crowd there that night! You could roast hot dogs and marshmallows from a mile away. The heat was intense! Saturday morning brought a light drizzle, but not anything to stop the parade (just made for a bad hair day). I cannot imagine the number of hours that the fraternities and sororities put into each of the floats. They truly were works of art! The best part of the parade however was getting to meet up with sweet Michaela. If someone had told me a year ago that I would get a chance to meet her in person, I would have been skeptical. Imagine my surprise when I learned that her brother would be attending the same university as our youngest daughter. They actually ended up in the same Psych class too! So, needless to say...she and I have been planning this meetup for awhile now. I only wish all of you could meet her in person...she is such a genuine, sweet young lady. I would be proud to call her one of my own. Actually, it is funny because she is a lot like both of our girls. We had a fantastic weekend, and are settling in back home. I will be happy if I can adjust to the time change. We gained an hour flying out, gained an hour Saturday night, then lost an hour flying home. Can't believe Thanksgiving is two weeks away!! Side note: Please take the time to vote in today's elections!!! May God continue to bless our nation.